The weather deteriorated a bit after the first CTD cast. Wind reached about 40 knots, so we had to stop working as the motion of the ship was putting too much stress on some of the equipment hanging over the side. However, things have calmed down nicely for the afternoon. A group of 6 or so dolphins has been hanging around the ship, probably feeding on the fish that often congregate underneath us if we stay in one place for a while. 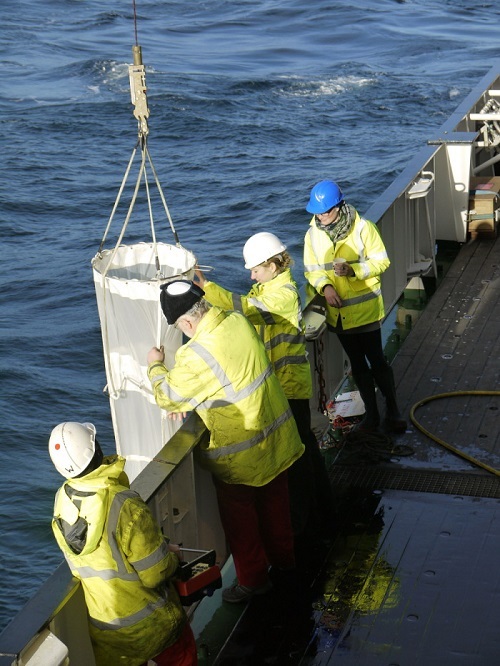 Sari Giering (University of Aberdeen) has started her sampling of the zooplankton – the tiny animals that feed on the microbial plants (and on each other). There is general surprise that there is so much biological stuff in the water, given the time of year. The zooplankton net, which is hauled vertically upward through the water to catch any zooplankton on a mesh at the end of the net, has come back with all sorts of stuff. 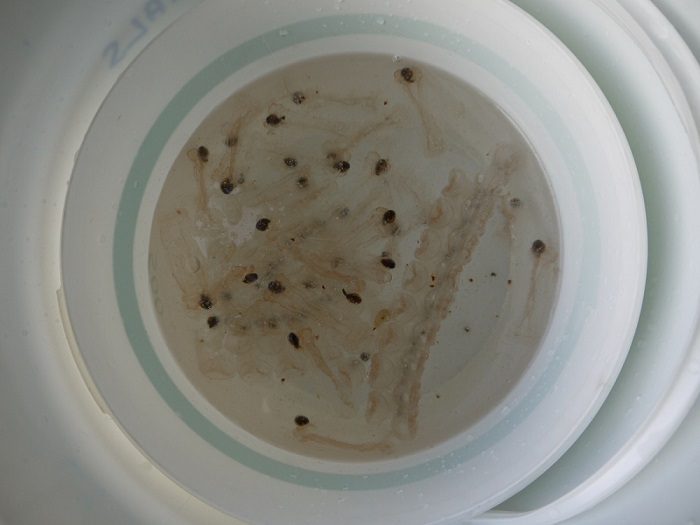 The latest haul had a large colonial salp – a gelatinous filer feeder about the size of your finger, but that lives in long connected ribbons of several dozen clones.